Today has seen one of the players whose future has been very much on the line decided as Chelsea confirm that he has left Chelsea for good and has signed for Sunderland. Van Anholt has been a Chelsea player since 2007 and in that time we have seen him develop through the U18's then in what was the Reserves and eventually make a few appearances for Chelsea's first team even getting himself a goal. Since then Van Aanholt has been out on loan to a number of clubs starting with Coventry and then going through Newcastle, Leicester and Wigan before spending the last couple of season at our Dutch partners Vitesse Arnhem where he really established himself into a regular and developed his game to a high level culminating in him earning a sport on the initial shortlist for the Dutch national side for the World Cup. 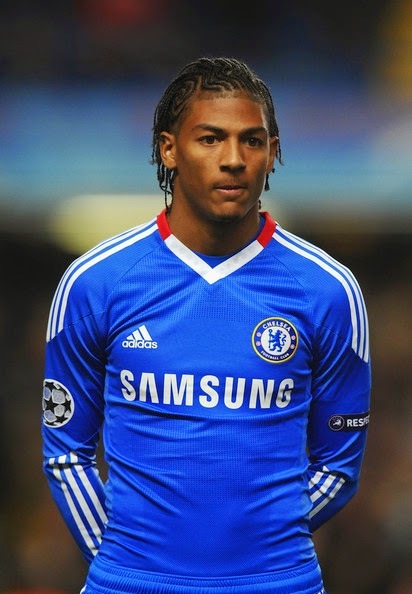 Van Aanholt joins a club with a strong Chelsea connection with manager Poyet and former player Liam Bridcutt as well as new director of football Lee Congerton so hopefully that will be a factor in helping Van Aanholt settle into his new club. It was thought that Van Aanholt would get his chance in pre season to show Jose what he can do but for whatever reason that never transpired and now he has finally taken his steps away from Chelsea for good and joining Sunderland will hopefully be the step up he needs to take his career forward. It is always nice to see former academy players doing well for themselves in the top leagues and I am sure Van Aanholt will be a player we can look forward to doing well in the Premier League in the coming season.